Though Australia might have slumped to their first-ever defeat against Bangladesh in the opening Test of the two-match series, opener David Warner's drought-breaking century in Dhaka was the shining light for the visitors. Resuming on 75 on Day Four with Australia still trailing by 155 runs for victory, the vice-skipper conquered his spin demons as he brought up 112-run knock, his first Test century away from home in nearly three years, off just 121 balls. It had been 34 innings since he had scored 133 against Pakistan in the UAE in 2014 tour, but his century in Mirpur is undoubtedly up there alongside his finest for Australia. Reflecting on his blistering ton, Warner said that he trusted his game by having an attacking approach with defence at the back of my mind. "I always talk about my defence taking care of itself if I am having that attacking approach. When things aren't going my way, I've thought of defending rather than trying to set myself a platform looking to score. It is about trusting my game, and that is having that attacking approach with defence at the back of my mind," ESPNcricinfo quoted Warner as saying. "I probably tinkered with it a lot over the last couple of years in these conditions and just didn't nail the basics of what I do best - attacking and then defending," he added after the match, where Australia suffered a 20-run defeat to Bangladesh. Dubbing his innings as the finest of his career, Warner said he has proved that he is capable of scoring well even on the turning tracks. "In a fourth innings in the subcontinent, I proved to myself that I am capable of doing it on turning tracks as well with that positive mindset and energy in the legs. 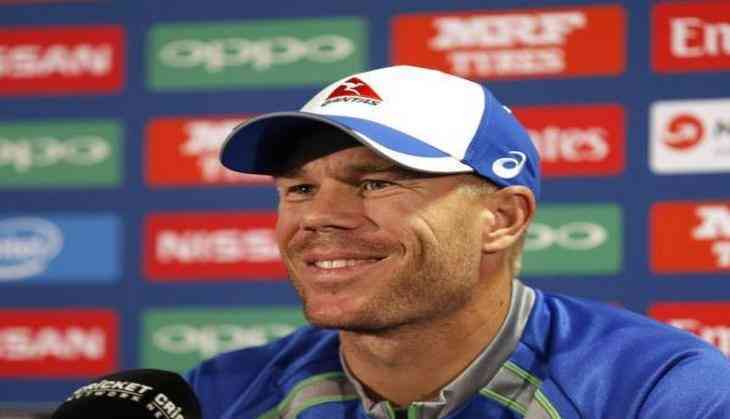 That's the key to getting down the wicket, lunging forward and launching back and not getting caught in between," Warner said. The second Test will begin from September 4 in Chittagong. Pulwama Attack: इस बीजेपी नेता ने सिद्धू को भेजी पायल, कहा- अपने यार इमरान खान..